An Iranian newspaper affiliated with Supreme Leader Ayatollah Ali Khamenei threatened that the White House would be “destroyed in under 10 minutes” should an attack on Iran’s nuclear facilities occur, media watchdog MEMRI reported. The editorial in the Iranian daily Kayhan, warned that the US was “on its deathbed” and argued that a nuclear deal with the P5+1 was against the Koran. MEMRI translated the comments, which were made on June 17. The article compared the current struggle to finalize a permanent nuclear agreement with early wars of Islam, such as the Battle of Badr, where Muhammad emerged victorious and slaughtered all the Jews of Khaybar. The threats from the Khamenei affiliated media outlet comes as Iran and western powers have failed for the third time to reach a final nuclear agreement. The latest and fourth deadline is set for Monday as world powers continue marathon negotiations. Three previous deadlines for the current round of talks – June 30, July 7 and July 9 – have come and gone. Officials close to the negotiations have explained that arms embargo and sanctions are the key sticking points preventing the finalization of the deal. “Ninety-eight percent of the text is finished,” a source told AFP. “Now there needs to be a political decision. And if that is taken things could quickly” progress. Leaked details of the framework agreement seek to reduce Iran’s stock of enriched uranium from more than seven tons to approximately 350 kilos (770 pounds). Iran would also see the number of its centrifuges cut from 19,000 to some 6,000. 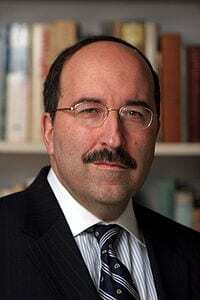 The head of Israel’s Foreign Ministry, Dore Gold, warned on Friday that a deal between Iran and world powers would only increase Iran’s global sponsorship of terror across the Middle East. “First, the lifting of sanctions on Iran will result in a windfall of cash for the Iranian treasury, which could reach $150 billion in the first year. As Iran decides which Middle Eastern insurgency to back with its IRGC units, it often has to establish priorities because it is operating under clear economic constraints. These constraints will be removed as Iran obtains the wherewithal to fully fund and even expand its terrorist activity worldwide,” Gold wrote.